Q: Can you tell StubbyDog readers about the Campaign to Stop Animal Fighting? A: I started The Chicago Campaign to Stop Animal Fighting more than four years ago, and things are really looking up. 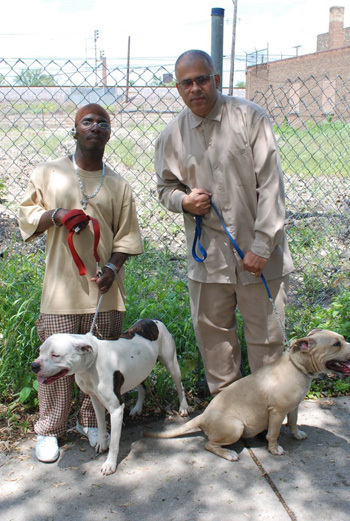 However, I’m also working as a special consultant to Humane Society of the United States to help bring more awareness to the African American community about humane treatment towards animals. During the last two years, I’ve rescued 10 pit bulls from dangerous situations, and since the start of the Campaign to Stop Animal Fighting, I’ve helped at least 70 young men change their minds about dog fighting. The Campaign to Stop Animal Fighting is designed to reach out to current dog fighters and introduce them to another way of looking at their pit bulls through training, humane education, community outreach and intervention when possible. Q: What motivated you to start the program? A: I was motivated to start the program in 2007 when I began to encounter more people abusing pit bull type dogs by fighting them. I always had a big heart for pit bulls because they’re some of the most misunderstood dogs in the world. Some people demonize pit bulls before they are even born. This upsets me. Growing up in the projects and witnessing acts of violence on a regular basis kind of desensitizes people. Q: Do you have a pit bull yourself? What first got you involved with the breed? A: I have two pit bulls that I rescued more than five years ago: Rocky and Destiny. Rocky and Destiny were locked in a closet 24 hours a day before I rescued them. Rocky and Destiny made a complete recovery and are some of the best dogs I ever had as my companions. I got involved with pit bull type dogs in order to give back to the universe. I cannot save every pit bull, but I can make a difference with a few. My mother used to take stray animals in and nurse them back to health. Q: How has the Campaign to Stop Animal Fighting evolved and grown so far, and what is your ultimate goal for it? A: The campaign has evolved in many different ways. Now there is a program in Atlanta and Philadelphia. Wayne Pacelle also mentioned me in his book titled “The Bond.” My ultimate goal is to reach out to at least 200 current dog fighters in more than 20 major cities across the U.S. and help them develop a greater respect and appreciation for their pit bulls. I’m talking about making a difference in the lives of the people and the animals. Q: Overall, do you think dog fighting is on the rise or diminishing? 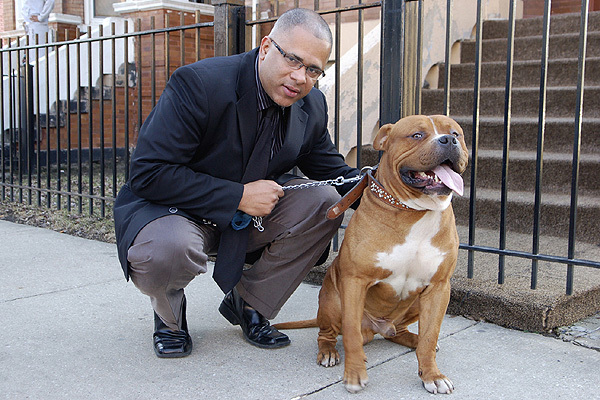 A: Pit bull dog fighting is on the decline due to several laws being passed and enforced by local law enforcement agencies and some of the outreach efforts. The Humane Society of the United States continues to lead the way in ensuring that the law protects animals. Additionally, I would like to commend the HSUS for helping to jump-start my original Campaign to End Animal Fighting and taking the campaign to a higher level. Q: We think you’re a hero. If you could have one superpower to make a difference for pit bulls, what would it be? A: My one superpower would be helping bring back to life all of the pit bull puppies that have been put down and allow them to live a full life with a happy family. Great story again Stubbydog! This story makes me smile because there are people in the “urban” communities making a difference in the lives of pit bulls. Coming from an urban background myself I heard of the horror stories regarding pit bulls which caused me to have preconceived notions about this bully breed. Had it not been for my son I would still be in the dark about pit bulls and miss out on the love they give me each day. Keep up the great work you’re doing. I love the superpower you chose…now that made me cry; all those lost little souls. bmoredog is a big fan of this program and trying to enact something similar (slowly, and with lots of help) in Baltimore, MD. Thank you for sharing this program and its story to a national audience. Thank you!!! Your work and heart are a gift to the community in Chicago and around the country. More respected men need to stand up for what is right to influence the young people. You Sir ROCK!!! i love this guy!!! come to s texas and deliver your message here. 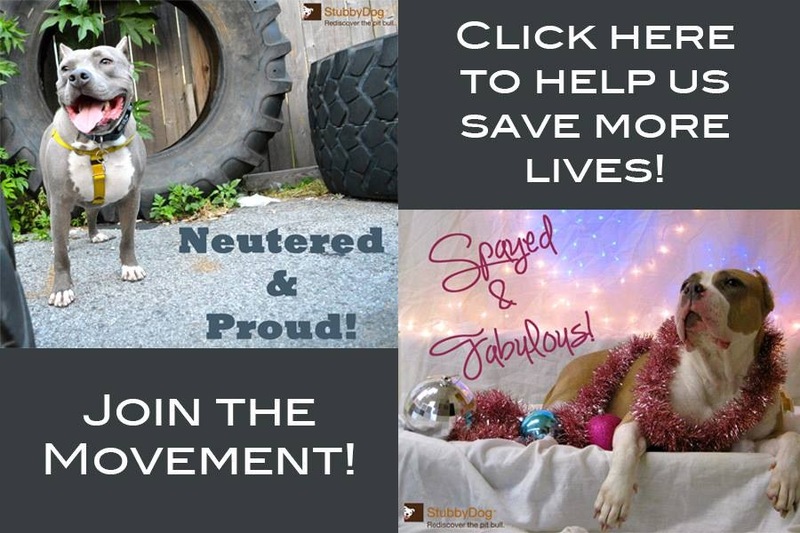 you are a true gift to your community and to the pit bulls of the world. love this video…the dogs are so cool. helping the pit bulls in any way that i can is my passion. i am so thankful for all of the work you do and will share this website with all of my friends on facebook. @DianeFenley Thank you Diane, we are happy to have you aboard!